The cloud is one of the biggest buzz words in technology today, and that includes cloud based music services, with Google recently announcing their Music Beta service and Amazon Cloud Drive/Player. 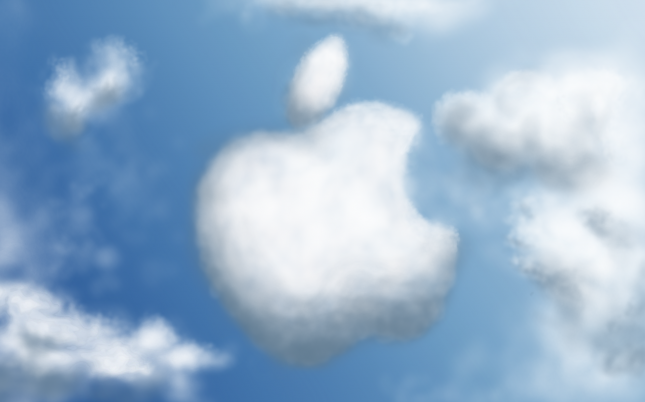 But in the shadows lurks the biggest of them all; as Apple is preparing their iCloud gaining the full backing of the music industry, who will come out the winner, and will we as music lovers be better off? To keep it simple, a cloud based music service allows you to store your own music or music you have bought virtually instead of/as well as on your computer/digital music player, and allows you to access it from any device that is connected to the internet, using a media player to stream the music over your internet connection. The main benefits of cloud based music services is that it allows you to access your music anywhere and on any device without having to have files stored on your device. The main issue of course is that you need an internet connection, although many of the services will allow you to temporarily store a selection of the music/playlists etc. on your device for offline playback. This is very useful as even in today’s society you might find yourself without an internet connection. So, who are fighting for cloud music supremacy? 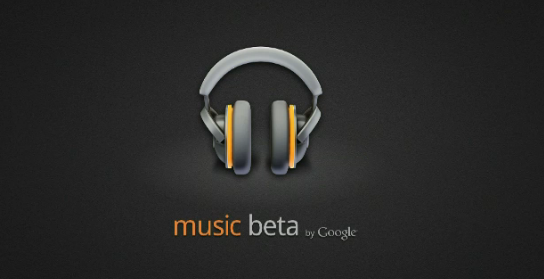 Google recently launched their cloud music service Music Beta, which at the moment is available, in beta, only in the US, but i’m sure as soon as they have had a chance to iron out any issues it will be rolled out internationally. Music Beta allows you to upload your music library to to their cloud storage, including iTunes playlists and ratings you might have, for easy access on any device. The service includes automatic wireless syncing of any changes or additions you make to your music library or playlists, as well as accessing a selection of recent songs etc. while offline on your Android device. The main issue Google has at the moment is that their service only includes streaming your own music library as they don’t have any licensing deals for streaming with major record labels yet. How big of an issue that is remains to be seen. Amazon was actually first among the big ones to launch their cloud music service, utilizing their Cloud Drive service alongside a new Cloud Player that can be accessed online through your browser or through Apps (includes Android app). It allows their customers to upload their music library and songs they buy through Amazon MP3 Store for easy access through any device at any time (with internet connection). Like with Google Music Beta, they don’t have licensing agreements with the music labels to offer streaming of music outside of your own music library, and there might be legal issues there as well (as i will come back into later on). First of all, this is not the confirmed name of the Apple cloud music streaming service at this point so for all we know it might be called something else (my bet is still on iCloud though). The number of registered users are in the hundred of millions (source: Wired). What about the music labels? There is a popular saying that “content is king” and when it comes to music the record labels controls the content. Ever since the internet boom started the record industry have been struggling to keep up with innovation and changes in consumer behaviour, often resolving to legal action in an attempt to keep their own revenue streams protected. In a way it can be compared to the changes we are seeing in the Middle East, which in a large part is driven by social media and technology changes, challenging the established systems and influencing the political agenda. Of course there is a difference between a political dictator and a music label, but they are both hanging on to ways that are in direct conflict with changing global trends. For the record labels the cloud could be an opportunity to gain back some monetization of digital music, and have some control over the distribution of music through licensing agreements. As mentioned above, Apple are so far the only of the big players that have managed to negotiate licensing deals with the major record labels, raising the question of why? Are the record labels being too greedy and controlling of the situation for Google and Amazon to be willing to work with them? A report from DigitalTrends suggests that the breakdown in negotiations between Google and the record labels came down to the record industry demanding compromises that Google was not willing to make, including control of music files obtained through ‘piracy’ and for Google to eliminate links to filesharing sites from their search listings. Intellectual property right law is a minefield that i am not even going to pretend that i understand, but it is one of the biggest issues facing the record industry and digital music today, and potentially a big issue for these new cloud based music services as well. Both Google with Music Beta and Amazon with their Cloud Player launched their services without having licensing deals in place with the record labels, and the record industry are already rattling their lawyers against them, preparing for what i am sure will be a long battle between giants with a very different ideology. As pointed out in this article from BBC News, format shifting (turning music on a cd into digital files for example) is in violation by copyright law, but in the US defensible under the principle of fair usage. Those rules do not however apply for the UK, so technically you are breaking the law by ripping your current cd collection into digital files for your digital music player. As for music files that you have bought digitally and want to stream from a cloud service, it is still somewhat of a grey area whether you have a right to store those digital files on a different server, like a cloud server. And it becomes an even bigger issue if those digital music files that you upload to a ‘digital locker’ are obtained from filesharing, otherwise known as music piracy. So where do we as consumers fit into all of this you may ask. All of the issues raised above becomes a reality for us as consumers. The issue of digital rights to the music that you have purchased becomes an issue in terms of the record labels and the cloud music streaming services fighting it out between themselves about what is legal or not. But that is more of a battle about royalties to the music industry (the legal owners of the original content) and won’t necessarily put you in any legal problems. Expect to see similar wording from all music services like this as they are only protecting themselves against ‘illegal’ activity from the customers, but the question is, how will they act on it? If there ends up being a big battle between the cloud music services and the record labels about illegally obtained content, could we as consumers end up in the firing line? Yes, we could, if the cloud based music services have to hand over account information with illegally obtained music in them. In the end, like with most other things, it all boils down to money. The record labels are seeing drops in music sales by £1.3 billion last year (source: Independent), with a large part of the drop being blamed on piracy. Some believe that the introduction of cloud music services is the next messiah for the music industry, but the issue around privacy etc. from a consumer perspective could become a big stumbling block for the full on adoption of these services by millions of consumers out there. While the positive sides of the cloud based music services are that it provides one place to store your music and access it from any device, avoiding possibly lost data issues should your storage device get lost, damaged, or stolen, it will also be a service that you will have to pay for (although some offer free up to a certain limit for now). Having to pay to access your own music that you have already paid for anyway might be a stretch for some, and do most of us really need to access our music from any device anywhere in the world? One good thing that is coming out of all this new technology though is that it makes it easier for artists to get their music out there to be heard without having to rely so much on the distribution network and contacts of the music labels. With technology and social networking, we share the music we like with our friends and network in seconds so the chances of a talented artist/band being discovered are higher than ever. Quality music will get discovered and shared in the new marketing channels for the music industry, and the cloud represents a new way for artists to deal directly with the key distribution channels. Consumers get more power, and good artists will succeed.